Scanning is a very convenient method to identify people and objects, and it lends itself well to jobs involving sales, inspections, attendance, etc. TaroWorks can capture a barcode through the camera on your Android device. Please note that we cannot support codes that do not have a text form, which can occur in some encrypted codes. The maximum length of the rendered string is 32,768 characters. This document will detail how to add a Barcode Question to your form and how to answer it in the device. Depending on the Barcode App you use, the scanner will read both Barcode and QR codes. On the left margin, click Barcode (red arrow) to add the question to the bottom, or click and drag it to insert into your form. You can also add Response Validation, if you'd like validate the format of the scanned value. Scoring is not available for Barcode questions. You can set show/hide logic for a Barcode question as normal. Does the entered value exactly match / not match your given string of text. It is important to ensure that the field you are mapping into has enough characters to store the decoded values. You may pass values from fields in the Hierarchy Drill Down into a Barcode question, though the reasons to do so are limited. Please refer to Building New Jobs for more information. When you reach a barcode question, press Get Barcode to open Barcode Scanner. NOTE: If you haven't previously, download Barcode Scanner from Google Play. There is more than one app with this name, so please choose the one created by the ZXing team. You'll need to download and install this app once. Center the barcode on your screen. You may have to tap the screen gently to help the app focus. Avoid shaking the camera. 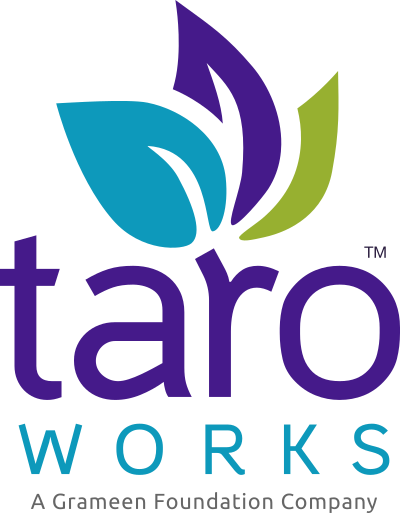 After the barcode is captured you will be returned to the TaroWorks app screen. The decoded value would be displayed below the button. You may now proceed with the next question.